Greige is what we call the colour that's in between brown and grey. It's quite a familiar term here in the UK with the weather being quite 'Greige' the majority of the time. The Greige collection is a combination of a variety of products that are all flattering and chic with packaging to match! 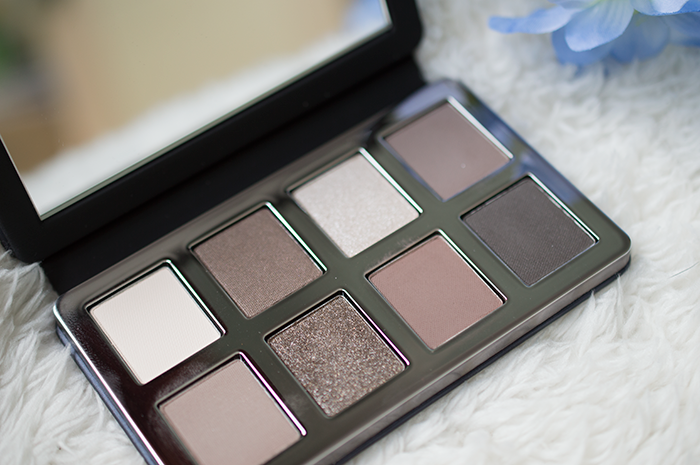 I've only got my hands on the palette so far, but I've read pretty good things about the rest of the collection too! My favourite thing about the palette is that it has been perfectly curated to contain shades which can take you from day to night with a mixture of mattes and shimmer/sparkle. I must admit that there's not a massive colour pay off with the shades, which made them quite difficult to photograph, but I quite like that as it makes them buildable and workable. 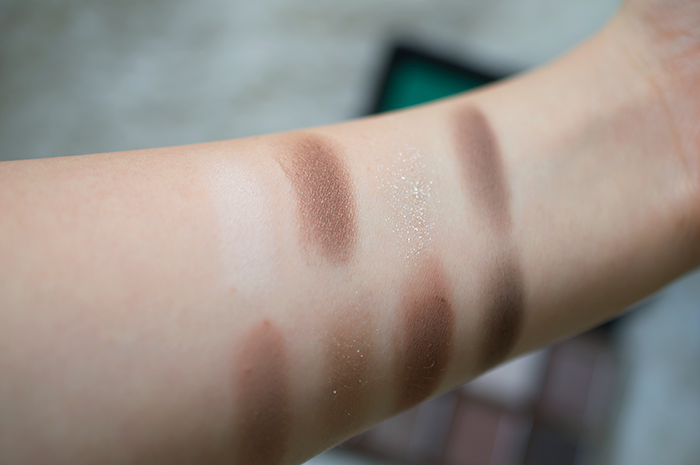 I also think the shades are perfect for contouring and defining the eyes so if that's something you're looking for then this is the palette for you. And I have to take a second to appreciate the packaging. 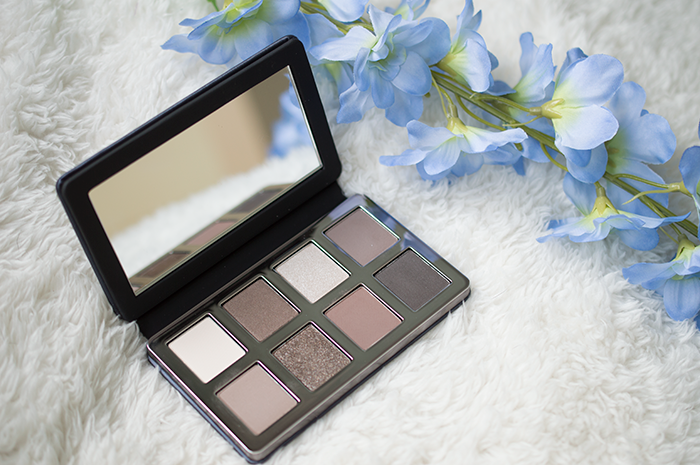 The leather feel palette looks sleek and packs a pretty impressive mirror as well as being handbag friendly if you wanted to take it with you for on the go application. Ivory is a lovely bright shade with a matte finish which is a great multipurpose colour to have as a base, neutralising your lids and, of course, highlighting your brows and inner corners of your eyes. Twinkle does exactly what is says on the tin and twinkles! A beautiful silvery sparkle shade which makes my magpie senses go all tingly! Slate is a dark grey shade which can be used on its own or applied in the crease. It's a deeper version of greystone which makes them really complement each other. Greystone is another one which is exactly as it sounds as it is a grey shadow with a matte finish. It's quite a sheer one which is totally buildable. Earth Metal is my personal favourite because it's so sparkly! I love how it looks different in different in different lights and can be used on its own or applied on top of any eye shadow for a pop of sparkle. Greige, the namesake shade of the palette, is a matte warm toned chestnut brown which I love to work in the crease. 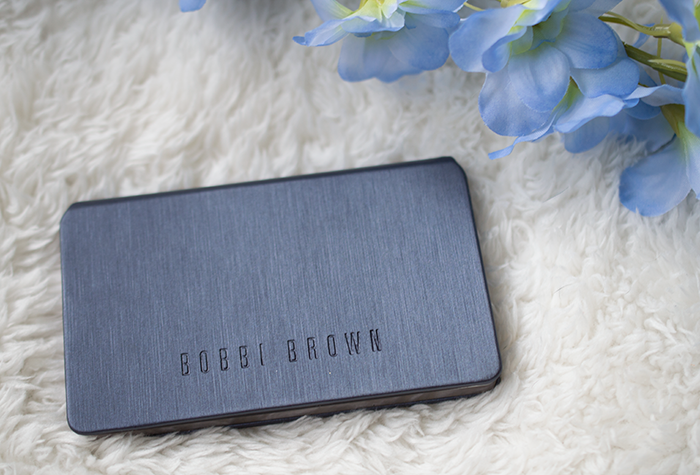 You can buy the Bobbi Brown Greige Palette here. But hurry it's limited edition! What a gorgeous looking palette, it's a shame you didn't think the colour pay off was that great though! I have a beautiful Bobbi Brown palette but similarly the colour pay off isn't great especially for the paler colours, I wish they were a bit more pigmented because it puts me off using mine! Oh that's such a shame that it puts you off using your palette. I actually quite like the fact their sheer. Have you tried using a wet brush with your palette?